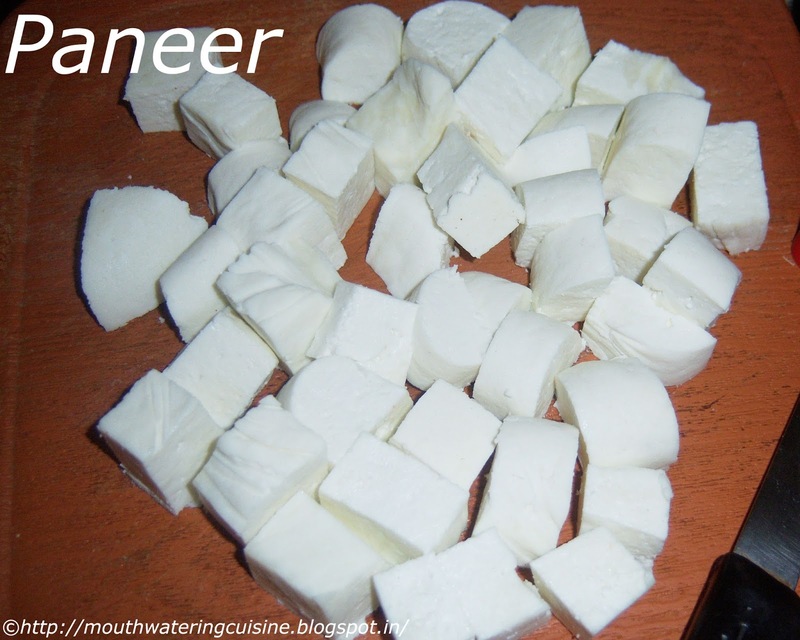 Paneer is an unsalted white Indian cottage cheese. It is used mostly in North Indian cuisine. It is made out of milk, adding acidic flavors to it. This is not a recipe but is a process of making it at home. As a South Indian, I do not have habit of making it. Whenever I have to make any dish with it, I get it from near by stores. But my North Indian friends inspired me to make it at home only and taught me. When I made it for the first time it was very hard and second time it was crumbled. Thanks to my friends, again and again I pester them, taught me all the tricks involved in it. So here is the finest and softest ever paneer I made. And from then on wards no looking back and no buying it from stores. To make it we can use lemon juice, citric acid or yogurt to make paneer. I prefer only lemon juice, reason I do not know. We use it in palak paneer, paneer butter masala, shahi paneer, mutter paneer, paneer tikka, paneer pakora and also sweet dishes like rasagolla and rasmalai. When boiling milk cream floats on it, do not remove it, instead mix it with milk. Once ingredients added to milk for curdling, allow it curdle completely. Whitish whey should separate from it. Once done remove it from flame immediately, do not over cook. This makes harder paneer once set. Once heavy weight is placed to set, keep it for 30 - 45 minutes, not more than that. The more time we keep heavy weight the more crumbled paneer we get. Use it immediately with in a day or two. Heat milk in a thick bottomed vessel. Let it boil. Once milk started boiling, allow it to boil to rolling boil. Take juice of three limes. Pout it in the boiling milk slowly. Mix it with a ladle, while mixing lemon juice. Allow the milk to curdles completely. Remove from flame. Take a muslin cloth or any thin or any fresh kitchen cloth. Strain the milk and drain the whey. Collect the edges of the cloth together and tie it tightly and place it on a plate. Place any heavy weight on it, I used my mortar and pestle's base. Remove the heavy weight after 30 mins, paneer should set. Cut it in desired shape.